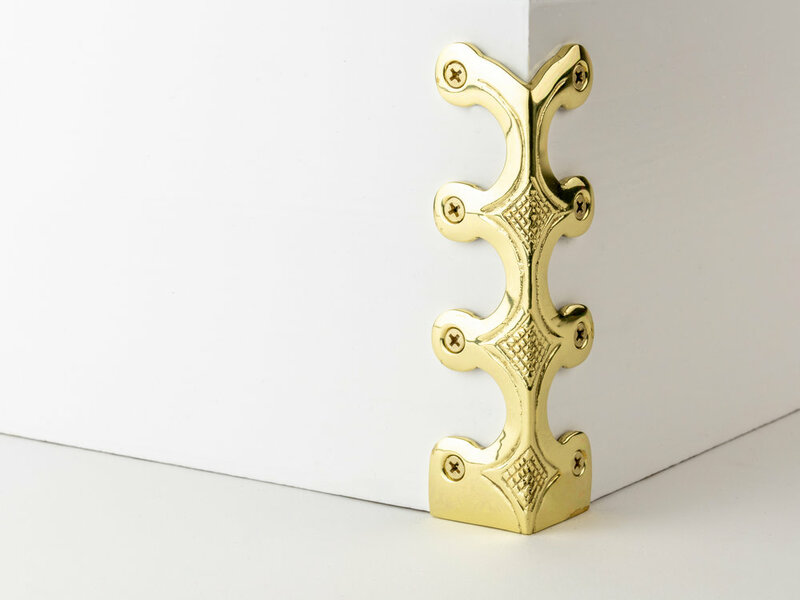 Our Skiffer corner protectors are beautiful solid brass castings designed to prevent damage to skirting boards and wall corners. It is all too easy to scuff corners, for example when vacuum cleaning or moving furniture. Our corner protectors not only prevent this, but also add an attractive detail to a normally bland area. Finishes: Polished Brass, Antique Brass, Satin Brass, Satin Nickel, Pewter, Black, Chrome. Sizes: 2 61/64", 4 7/32 ", 5 9/32"